Volnay, as all red Burgundian wines, is made from the Pinot Noir grape. It’s described by many a vintner as “the Heartbreak Grape” because few winemakers worth their salt (and who have access to conditions even remotely favourable to this grape) have succeeded in producing a wine that excites consumers as I was. But some have come close, creating excellent wines, that are generally found at the expensive end of the row. I really want to say these intense efforts are worth paying higher prices, and if properly laid down for a few years, will develop an array of enticing flavours. Although some may succeed in delivering that state of pure ecstasy, most will not. This is particularly the case in Burgundy, where prices often climb into six figures, but where the additional cost does not automatically mean better wine. Still, many consumers are prepared to pay the price in the hopes of experiencing my Volnay bliss. Over the past 20 years, the rest of the world has made great strides toward catching up to Burgundy, and in some cases have surpassed the original. Some wines from Central Otago on the South Island of New Zealand and from the Willamette Valley in the State of Oregon are considered at least on a par with some Burgundian greats. The Canadian climate and soils are not identical to Burgundy. But luckily, they are conducive to the growing of pinot noir and our winemakers are producing outstanding bottles at prices considerably lower than grand cru Burgundies, or even high end New Zealand or Willamette Valley examples. Whether our wines will age with the style and grace of the originals remains to be seen. But who knows, they could be even better. Many local Ontario pinots at the lower end of the scale are still perfectly good wines. They’re light and easy to drink but never gain much in stature no matter how many years they spend in dank cellars. This doesn’t stop some tenacious vintners striving to create magic in our country, particularly in Niagara, Prince Edward County and the Okanagan Valley in British Columbia. But now, back to reality and some luscious pinots that don’t ruin the bank balance. Flat Rock Cellars on the 20 Mile Bench section of the Niagara Escarpment has won awards with higher priced cuvees. For a little more than $20 they produce a delightful 2017 pinot with real character, exhibiting flavours of raspberries and dark cherries, with spicy notes. It’s a great match with grilled salmon. Among the newish kids on the block is 16 Mile Cellar, also from the 20 Mile Bench. For a couple of dollars more they have produced a 2014 pinot with dark fruit flavours that has been aged in oak barrels for 18 months. It’s beautifully balanced and ready to consume now with roast duck or chicken. Internationally, there are a few wines available in Canada that give us hints of the excellence reminiscent of pinot’s original home. 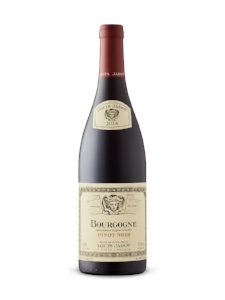 The Jadot Bourgogne Pinot Noir is made by the same Burgundians who produce wines costing 10 times the $25 price tag attached to this expressive pinot. This wine exhibits lovely red berry and plum flavours with a long finish. Perfect with grilled veggies and fried chicken. Another international product, which gives us a hint of the quality of winemaking in New Zealand is the 2016 Momo Pinot Noir, at $20 a smooth, stylish pinot with cherry notes and a spicy finish. Momo is the second label of Cinematographer Michael Seresin, whose winery produces some of the most elegant, intense Sauvignons from Marlborough, along with a stable of other fine wines. Finally, elsewhere in the Southern Hemisphere is the Reserva Especial pinot from Maycas del Limarí in Chile. Here we find another vintner seeking excellence but using grapes grown under the influence of the Pacific Ocean. The result is a refined, complex, mid-weight wine with cherry and raspberry flavours and all for about $23.